Categories: Champagne, France, Imported Wines. Tags: Champagne, France, Imported, Mareuil-sur-Aÿ. The art of producing elegant, graceful champagne requires the most exacting skill. Sweetness, richness and breadth cover all manner of sins in Champagne but a wine in its unadorned, raw nakedness reveals even the slightest blemish for all to see. The mark of Billecart is made not by the heavy footfall of concentration, power and presence but rather by the fairy-touch of delicacy and crystal-clear fidelity. Champangne Billecart -Salmon was recently awarded Tyson Stelzer’s highest 10 out of 10 rating in the new Champagne Guide 2014 – 15. This places Champagne Billecart-Salmon in esteemed company with the very top echelon of Champagne houses. Only four houses were awarded the 10/10 rating, one of which was Champagne Billecart-Salmon. “Billecart uses its own cultured yeasts (from natural yeasts of nearby villages) and its ferments are colder than most – a crucial element in retaining freshness and delicacy. (Cellar Master Francois) Domi showed us one hundred, forty hectolitre tanks individually temperature controlled to ferment at a chilling thirteen degrees. At such a low temperature, it takes until late November for the primary fermentation to complete. Old barrels are used for the fermentation of all grand cru fruit (he sources used Burgundy barrels that have seen six or seven fermentations) and barrel stirring is conducted weekly, according to taste. All parcels for the non-vintage blends go through malolactic fermentation, but for the vintage wines this depends upon the vintage. Dosage levels are low, 8g/L of sweetness in the non-vintage wines and just 4g/L in the vintages. This places the vintage wines firmly in “Extra Brut” (extra dry) territory. Any more sweetness might start to play havoc with such delicate styles. Billecart’s non-vintage wines are aged for three-and-a-half to four years and its Millésime collection for a minimum of eight to ten years (the 1999 Cuvée Nicolas François Billecart is still in the cellar). In 1999, a special jury voted the cuvée Nicolas François Billecart 1959 as the “the champagne of the Millennium” at a blind tasting, organised by Richard Juhlin in Stockholm, involving 150 of the most illustrious champagne producers. Furthermore, the cuvée Nicolas François Billecart 1961 vintage came second! Domaine Wine Shippers are very proud to be Champagne BILLECART-SALMON’s distributor in Australia since 1981. This finest of Champagne Houses is held very dear to the STEEL Family and all those that work with Domaine Wine Shippers. The quality of this wine is something special and the ROLAND-BILLECART family are what makes it so. We are proud to represent not only the product but just as importantly this highly regarded Champagne house and family. Their attention to detail and demand for the highest of standards in their business ensures that every shipment Domaine Wine Shippers receive from Champagne BILLECART-SALMON is of product unwavering in quality. The story begins some 31 years ago when Gary STEEL (owner of Domaine Wine Shippers) commenced importing and distributing what was at that stage, a relatively unknown Champagne House in the Australian market. In the beginning, Gary used his industry contacts with soon to be very well known chefs and business owners, to support this yet unknown Champagne House in Australia. 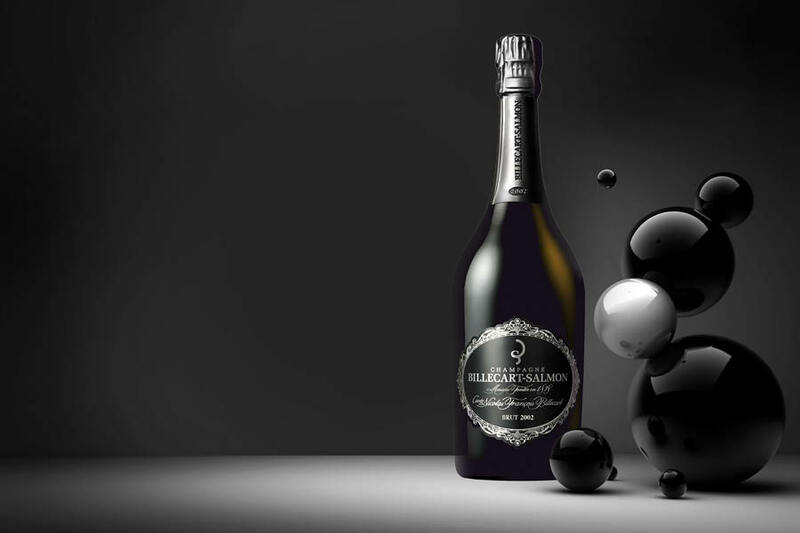 Preferring to let the quality of the Champagne speak for itself rather than extensive advertising, discerning trade and customers alike began to take notice of Champagne BILLECART-SALMON and the demand grew. 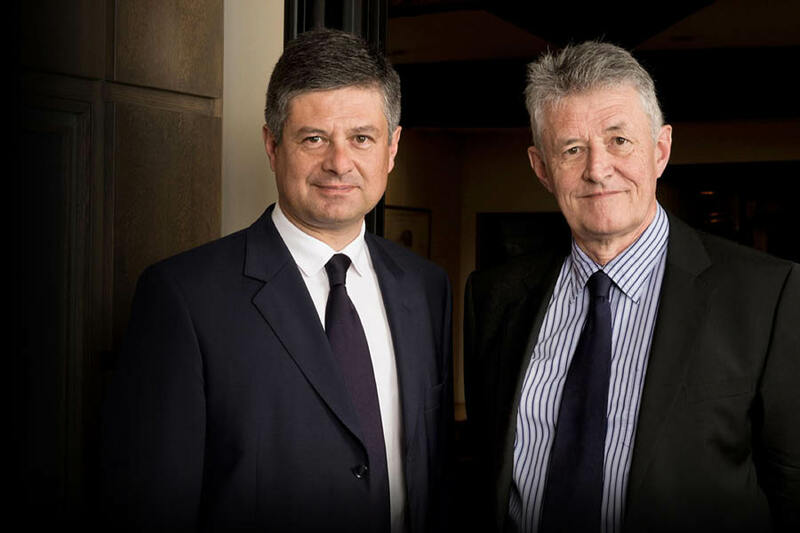 Today this Champagne House is headed by brothers Francois and Antoine ROLAND-BILLECART with their Father Jean now semi–retired, however still at the winery almost every day. 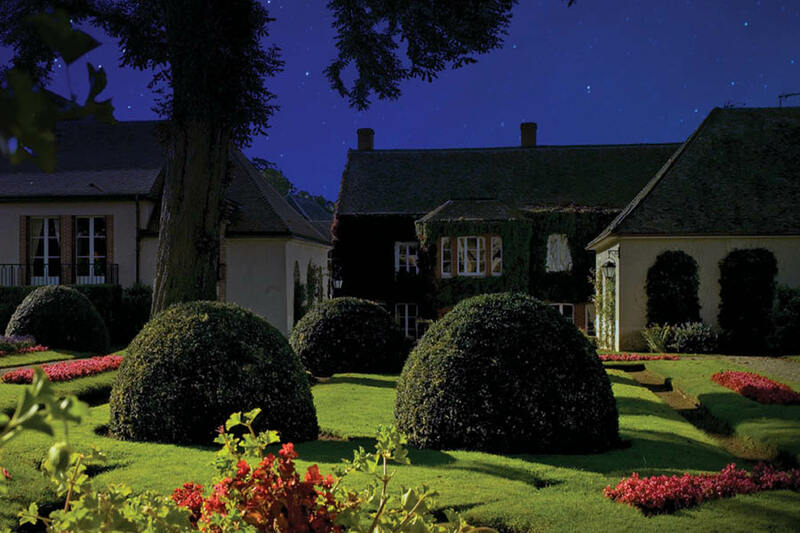 Founded in 1818 by husband and wife Nicolas François Billecart and Elisabeth Salmon, the BILLECART-SALMON House is rich with history. For nearly two hundred years, the Billecart family has been handing down the secrets to making exceptional champagne from generation to generation. The Champagne House is special for many reasons, but one notable reason is that it is one of very few to remain Family owned. 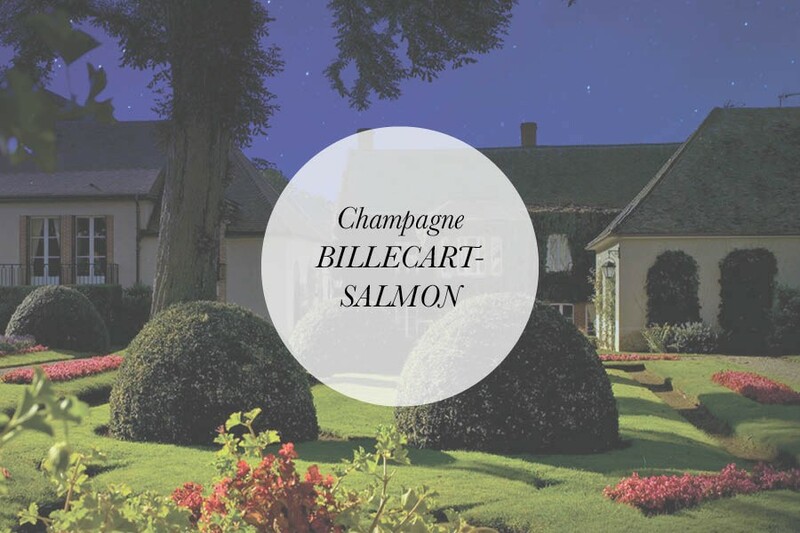 The BILLECART-SALMON House covers around 50 hectares, and gets its grapes from a total of 170 hectares of land. Frequently cited for the quality of its vintages, the House pays particular attention to selecting the best grapes. At the foot of the Mareuil-sur-Aÿ hill, the family cultivates one hectare of Pinot Noir on a single, enclosed parcel. It is called Clos Saint Hilaire. 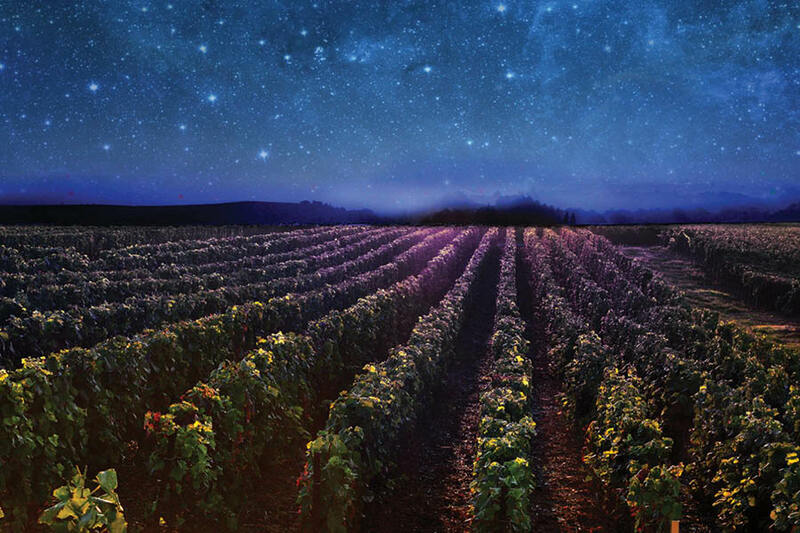 The magic of the terroir combined with human skills have given rise to a wine which is particularly renowned for the complexity and rarity of its aromas. For all of its heirs, it represents an authentic treasure that they all must honour and preserve. Harvest after harvest, the Family has forged close and courteous relationships with the winegrowers of the Champagne region. Here, everyone knows that they have a time-honoured savoir-faire. They all share the same determination to create a product unlike any other.